If you are a U.S. Veteran and have mesothelioma, you may be entitled to compensation if you can show that you have mesothelioma related to asbestos exposure suffered while serving in the Armed Forces. MRHFM proudly helps mesothelioma victims and their families file a VA disability claim on a no-obligation basis and without any fees being paid to MRHFM. Because of ethical obligations, we cannot file the claims when the Veteran is already represented by a lawyer for their mesothelioma claims. We feel that it is important that we provide this service to our Veterans. Please click here if you would like more information about this free, no obligation service or about how you can get compensation because you or a loved one has mesothelioma. Disability Compensation- a tax free benefit paid to a Veteran for a service connected disability that happened as a result of active duty, training for active duty, or inactive duty training. After a service connection is established, the VA will assign a disability rating between 10% and 100% staggered in multiples of 10%. We typically are able to show that Navy Veterans with mesothelioma are entitled to a 100% disability. As of January of 2018, a Veteran with 100% disability rating can receive $2,973.86 per month. If that same Veteran has a spouse, the amount is $3,139.67 per month. Pension – An award for Pension is dependent upon the Veteran or surviving spouse meeting the means-test requirements of income, assets, and medical expenses for an ongoing basis. Pension provides a monthly cash benefit which can help cover the cost of home care, adult day care, assisted living and nursing services. Cash payments for a pension can range from $700 to $2,000 per month depending on the type of claim and the medical rating of the Veteran. A Veteran who is so nearly helpless as to require the regular aid and attendance of another person may be eligible for additional aid and attendance benefits. A Veteran who cannot establish the aid and attendance standard may qualify for increased benefits by establishing he or she is housebound, or, substantially confined to his or her home and reasonably certain to continue in that state for the Veterans lifetime, due to disabilities. Health Care Benefits – The VA Health Care system is the largest single provider of health care in the United States operating 153 hospitals, 232 Veteran’s Centers, 132 Community Living Centers, and 788 community based outpatient clinics. Once enrolled, Veterans can receive multiple services including preventative care, inpatient hospital care, outpatient diagnostic care as well as medication and supplies. Dependency and Indemnity Compensation – payable to certain eligible survivors of a military service member who died on active duty or whose death after service resulted from a service connected injury or disease. A surviving spouse can be eligible for $1,283.11 monthly, or more if the Veteran had dependent children under 18 or if the Spouse is entitled to Aid and Assistance. Unless a claim for Dependency and Indemnity is filed within one year from the date of the Veteran’s death, the benefit is not payable from a date earlier than the date the claim is received by the VA.
Burial Benefits – burial costs are available for service disabled Veterans. If death was a result of a service connected disability, up to $2,000 is available for burial costs. The VA may provide a plot allowance of $300 for a Veteran who dies of non-service connected causes. 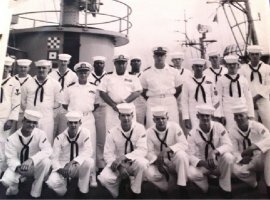 Navy - The most frequent asbestos exposures from any armed service occurred in the Navy due to the need for fire resistance aboard Naval vessels. Sleeping quarters, engine rooms, fire rooms, boiler rooms and insulated pipes were just a few of the many sources of asbestos a Navy Veteran may have been exposed to on a daily basis. The act of firing deck guns could cause a shockwave to reverberate throughout asbestos insulation aboard ships which released plumes of asbestos dust. Shipyard workers were also exposed to asbestos in insulation for boilers, miles of steam pipes, incinerators and hot water pipes. Gaskets, sealing compounds, packing for valves and even a hull of a ship often contained asbestos for fireproofing. 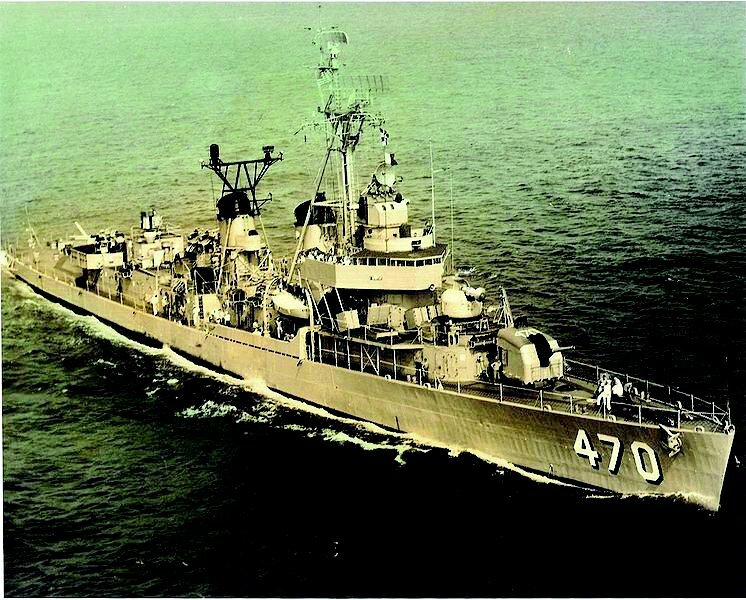 Virtually every ship commissioned by the Navy between 1930 and 1970 contained asbestos or asbestos-containing materials. Army – There are dozens of military bases around the U.S. and outside of the U.S. that have been proven to contain asbestos products. In addition to asbestos flooring tiles, ceiling tiles, insulation, and cements used in various army barracks, several trades in the army were frequently exposed to asbestos including, auto mechanics, firefighters, masons, carpenters, engineers, plumbers and electricians. A whole fleet of Army vehicles from Jeeps to tanks contained asbestos. Many Veterans working in the motor pool were exposed to asbestos containing brakes, clutches and gaskets. In the late 1990’s, the Army spent over $1 billion dollars on asbestos removal at 32 different Army bases. Air Force – Asbestos was used in aircraft components including engine insulation, electrical insulation, brake pads and adhesives. Aircraft mechanics would also have been exposed to asbestos through fire and heat retardant insulation, heat shields, fire sleeves, and engine gaskets and clamps. Marines – Similar to Army Veterans, Marines were exposed to asbestos in their barracks as well as through various trades. As Marines often coordinated with the Navy, they were likely to be exposed to asbestos aboard Naval ships. Other possible sources of asbestos exposures for Marines include land transports, airplanes and vehicles, and barracks exposure. Proof of asbestos exposure in the service is necessary for service connected disability. MRHFM can assist in assembling information required to prove “service connected” disability and file claim forms. Again, we are proud to offer this as a free service to Veterans as long as they are not already represented by a lawyer on a mesothelioma claim or claims. To learn more about how MRHFM proudly supports Veterans through the Wounded Warrior Project and other organizations, click here to see our community & charity involvement. To get started, we can help complete a VA Form 21-526. CONTACT US OR COMPLETE THE FORM ABOVE FOR MORE INFORMATION. 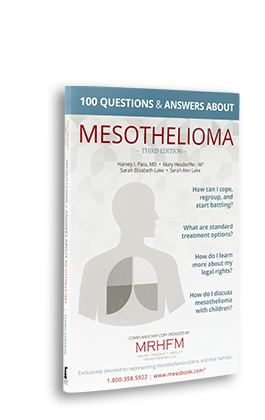 Click here to view frequently asked questions about benefits for U.S. Veterans with mesothelioma. JUST FILL OUT THE FORM ABOVE FOR MORE INFORMATION FROM US!